Powered by our database of 1.6 billion unique Amazon keywords from real shopper searches, MerchantWords ASIN Plus™ research tool provides insightful and actionable data on listings on the first page of search using a product’s Amazon Standard Identification Number (ASIN). And get a comprehensive overview of a listing's footprint on page one of Amazon search results. Discover what keywords competitors are using in their listings and advertising campaigns. 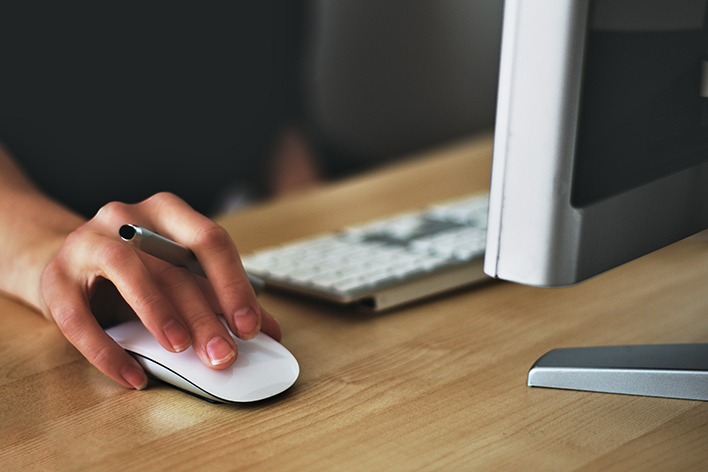 Optimize your listings and improve your PPC ad performance. See exactly where competitors rank on Amazon’s search results for specific keywords. Leverage our product research tips and tricks to outperform your competition in areas where they are underperforming. Enhance your product based on user-generated ‘related keyword’ searches previously unknown to you. Start searching now with ASIN Plus! Find unique keywords that you hadn’t previously discovered in your research. By typing an ASIN into the MerchantWords search bar, ASIN Plus will show all the keyword phrases where this product ranks on page one of Amazon search results. These long tail phrases can give you additional insight into your customer base, alternate uses for your product, and desirable features. Add these relevant keywords to enhance your listing further and boost your Amazon search ranking. If you need additional help with listing optimization, check out our Listing Advisor service and learn how we can manage keywords for you! Find low competition keyword opportunities to maximize your Amazon pay-per-click (PPC) advertising campaigns. Use the Search Rank column to see the keywords where your listing is ranked lower than you would like and where it is already performing well against your competitors. Focus your ad campaigns on keywords with a search volume of at least 30,000 but where your Search Rank is above 10 – especially if competing listings have a high Search Rank for those keywords. You can also check to see if your competitors are missing opportunities by checking their rank position across all of their keywords. If they’re not ranking at the top of page one for essential phrases, it’s your chance to grab those keywords, put them in your listing, and bid on them in your PPC campaigns. Then you can increase your PPC bid, start to rank higher than your competition, and beat them in sales for that keyword. Use ASIN Plus at the end of your product research journey to ensure that the product you plan to sell is a good choice. 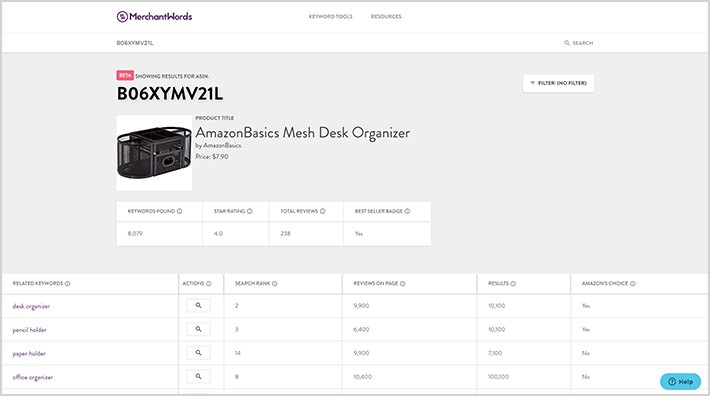 Step One: Grab the top five competitor ASINs for your potential product (excluding Sponsored Products) and enter them into MerchantWords’ search bar one at a time. We recommend you select these ASINs by using the most relevant keywords for each product. For example, if you’re selling desk organizers, “office pencil holder” would be a primary keyword phrase. Step Two: In the ASIN Plus tool sort the Search Rank column so that the keywords this product ranks lowest for are at the top. Begin by looking at the keywords ranked from 20-48. These are opportunity keywords. Your competitors may be underperforming for these relevant keywords. Your product can rank higher than your competitors by adding these keywords to your listing and bidding competitively on them in your PPC campaigns. Step Three: Click on the magnifying glass to “Search MerchantWords” and make sure the keywords from Step Two have 75,000 or more combined searches each month. These search volumes will tell you if demand is present in the market and gauge the potential for sales from keywords that competitors are underutilizing. Remember, you only want to use keywords that apply to your future product! If it’s a “GO,” stop wasting time and source that product. Make it happen! Gain access to ASIN Plus by upgrading to our Pro or Global plan today! All powered by MerchantWords' database of over one billion unique keywords – the most Amazon keywords available anywhere.